The National Print Museum offers an educational, interactive and activity based guided tour specifically designed for Primary School children. 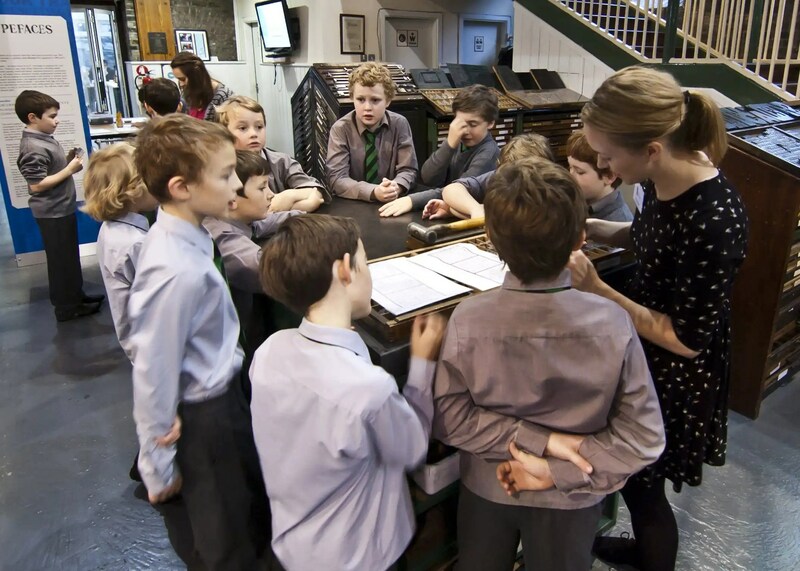 Your class will travel back in time to experience what it was like to be a young apprentice printer by exploring the National Print Museum’s Print Shop style layout – the composing area, printing area and finishing area. Children learn all about Johannes Gutenberg, the inventor of the printing press, and how newspapers, books and posters were created before the arrival of today’s computers. Through three tactile and engaging activities and working directly with artifacts from the Museum’s collection, children learn about a selection of the traditional printing machines, are given the opportunity to experience traditional hand-setting and printing and using the Japanese paper craft of Origami learn how to make and decorate their very own printer’s hat. In addition children test their knowledge with fun activity sheets! 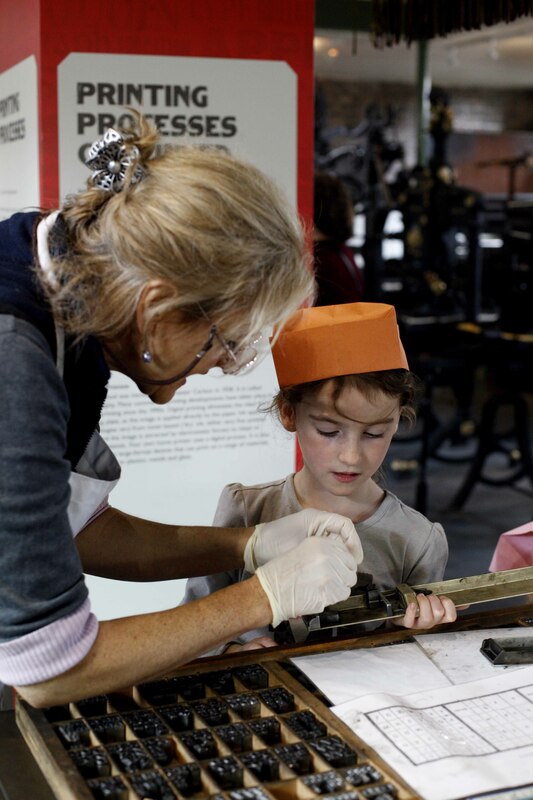 The National Print Museum’s Primary School guided tour is suitable for 2nd – 6th class pupils. The tour is cross-curricular in nature and interprets a number of strands within the Primary School History, Visual Arts, Science and English curricula. Upon arrival at the Museum your class will be divided into three groups. Each group will be then rotated through three activities, with each activity lasting 30 minutes (total 90 minutes for entire tour). During this hands-on and engaging tour children learn about a selection of the traditional printing machines in the Museum’s collection including the Wooden Press, Columbian Press, Wharfedale Stop-Cylinder Press and Platen Presses. Children view an original copy of the 1916 Proclamation and help their guide to explore and spot the printing errors throughout. The tour closes in the Finishing Area, where children are invited to interact with the traditional perforating and hole-punching machines. During this activity children learn about Johannes Gutenberg and his invention of movable type. They learn about interesting aspects of the traditional composing of text for printing (the case-room, composing stick, movable type, uppercase and lower case, inking up, the proofing press etc.). Each child is then invited to hand-compose their names and insert into a ‘forme’ in order to print their own ‘Wanted’ poster. 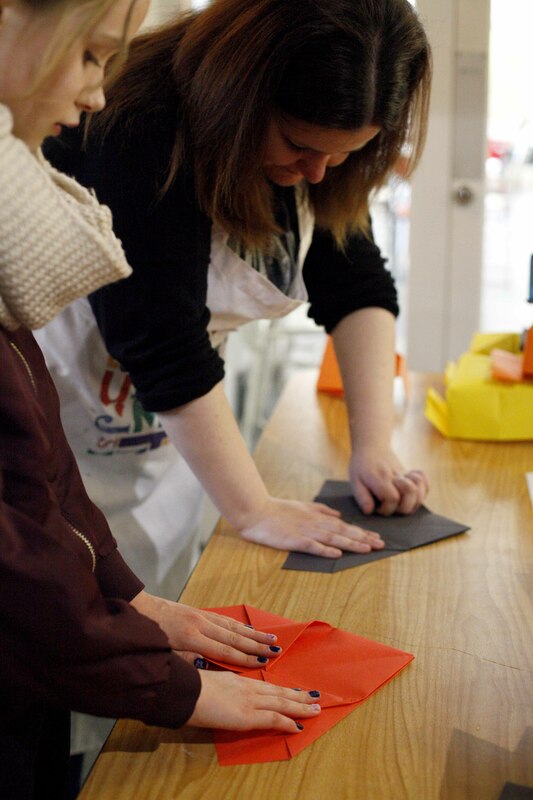 A printer’s hat was one of the first things an apprentice printer learned to make and during this activity children learn to make a similar hat using the traditional Japanese paper craft of origami. Once the hat is complete children decorate and personalise their hat using traditional wooden ink stampers. The workshop costs €8.00 per pupil and can take a maximum of 15 pupils. Contact education@nationalprintmuseum.ie for more information and bookings. For more information on how to book a Primary School Tour please visit our Guided Tours booking information page. The National Print Museum would like to invite a class from your school to take part in a free special Primary School guided tour of the Museum’s current exhibition Print, Protest, and The Polls: The Irish women’s suffrage campaign and the power of print media, 1908 – 1918. This exhibition commemorates the centenary of the first female vote in Ireland through exploration of the use of print media by the Irish suffragists, and their opponents. The exhibition includes print ephemera, photographs, and newspaper publications which illustrate the influence and effect of protest through print in a period of early media. The Primary School special guided tour of Print, Protest of the Polls is 30 minutes in duration. The maximum number of pupils we can take on the tour is 15. If you are bringing a larger group of 30 pupils we will split the group, with Group 1 partaking in regular Primary School printing activities in the permanent exhibition and Group 2 taking part in the special guided tour. The groups will then swap over. This tour format is 60 minutes in duration. If you or one of your teachers would like to book one of these time slots for the special guided tour of Print, Protest and the Polls or if you would like any further information, please contact me at education@nationalprintmuseum.ie or 01 6603770. The exhibition’s Education Programme is funded by the European Year of Cultural Heritage.